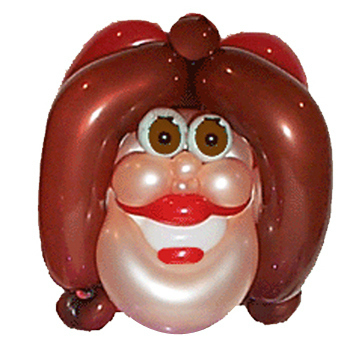 As Seen on "America's Got Talent"
Airheads are caricatures of people, only instead of being drawn or painted, they are made completely out of balloons. 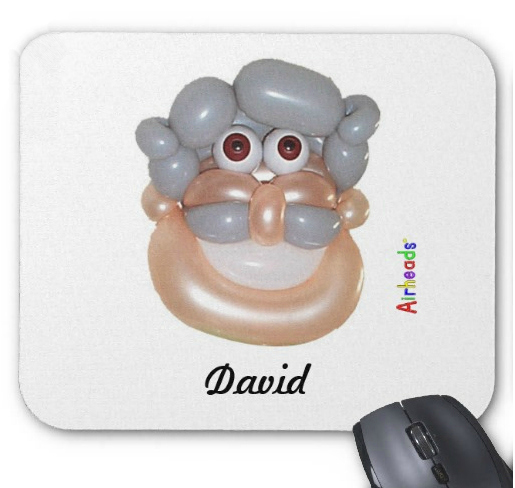 Our team of top quality balloon artists can make anybody, in any setting, and put them on canvas, cups/mugs, t-shirts, mouse pads, phone cases, notebooks, posters, pillows, postage stamps, etc. Airheads are the most unique gift on the planet. but their face is on it, too. Not just a regular picture of their face. Pictured below are just a few of the many products we offer. Fill out the form below to let us know if there is something in particular that you are looking for, and we will see if we can put and "Airhead" on it! 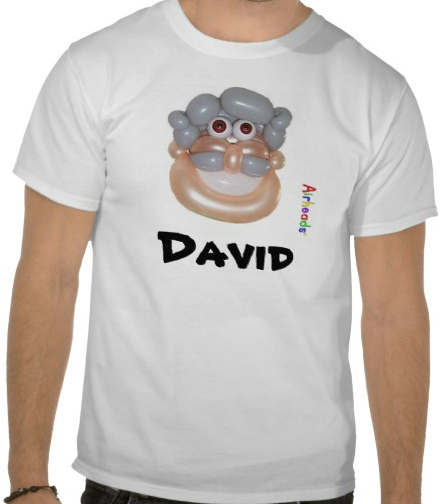 Put you, or your significant other's, "Airhead" on your chest while wearing a t-shirt for all the world to see. 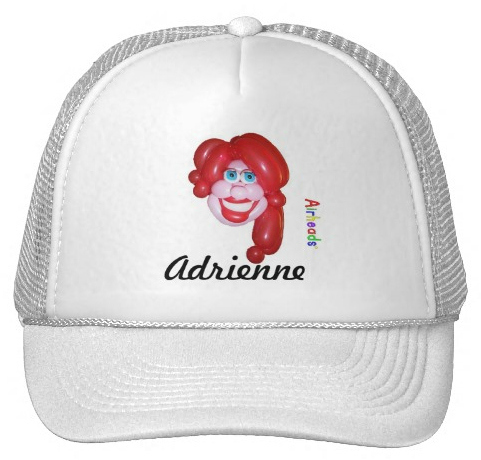 Keep the sun off your face while the sun shines on your "Airhead" as it sits on your head. And it won't even melt or pop! 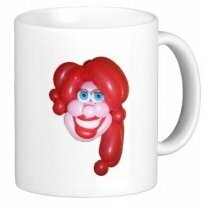 Put your "mug" on a mug and sip the hot coffee from your hot head. Put the picture on one side and the name on the other side. Or put them on the same side. 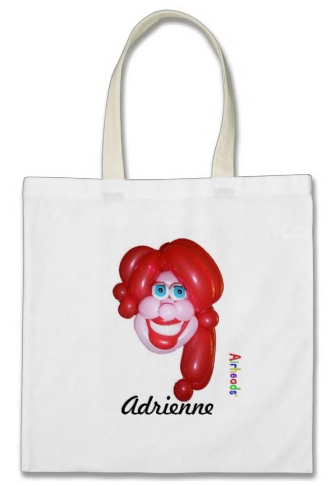 Tote your "Airhead" everywhere you go with this handy dandy Tote Bag. There are many sizes, shapes, and styles of bags to choose from. When you start the ordering process, we will show you our extensive inventory. Draw a mouse across your face without screaming. ...well, you know what we mean! Hang your "head" around your neck with this lovely necklace pendant! This DOES include the chain. If they make covers for your phone, we probably have the cover for it. We call it a "face" plate. Is it possible to lick your own head? 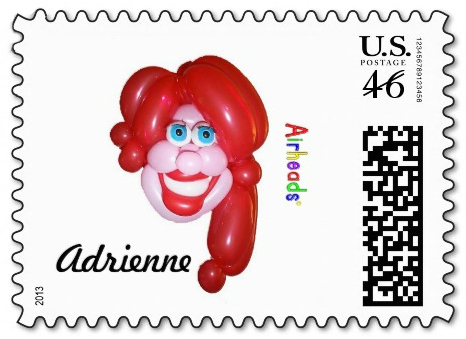 It is if you send yourself through the mail with extra special postage stamps that have your "Airhead" on them. 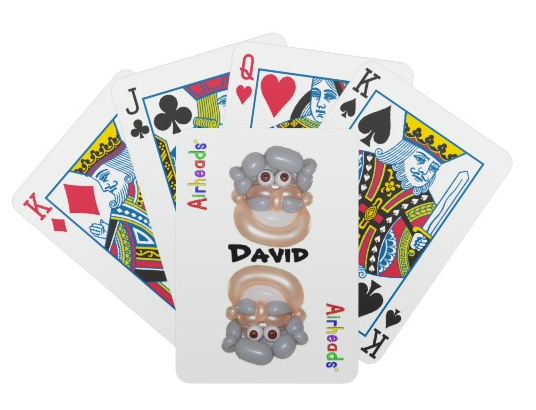 Put your Airhead on the back of the "face" cards (and the rest of the cards, too). "Balloon Airheads are amazing. The whole thing was made out of balloons. I didn't think they would be able to do my glasses, but they did...OUT OF BALLOONS!" "(Airheads are) so unique...I've never seen anything like (them) before. 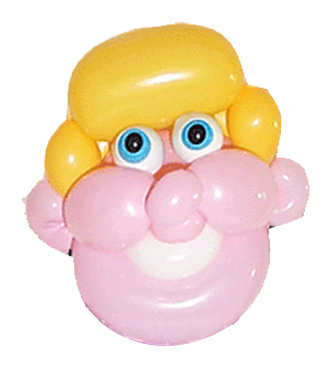 They made each person in my family, and each balloon character was as original as each actual individual. I love my family's Airheads!" 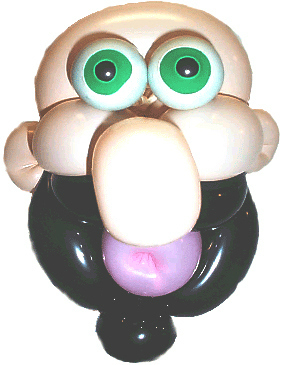 "You guys are truly the Rembrandts of Balloon Artistry!" I have gotten more than one product with my Airhead picture on it. 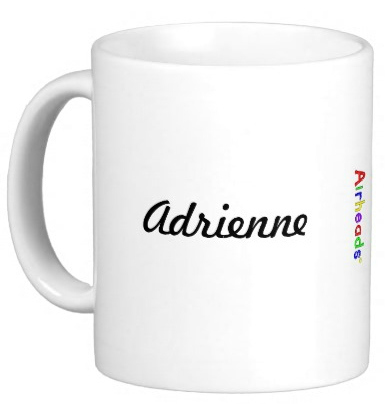 It is a great conversation starter, it is amusing to look at and share with others, it is different than any other gift that you could give OR receive, and it really DOES look like me. People always say, "Hey, that's you...I can tell!" It cracks me up!! Fill out the form at the bottom of the page. When you submit it, we will give you a quote (or answer any questions you may have...in other words, we will start up a working relationship). When you are satisfied that this is the product you desire, we will send you to a secure PayPal page to pay for the item(s). 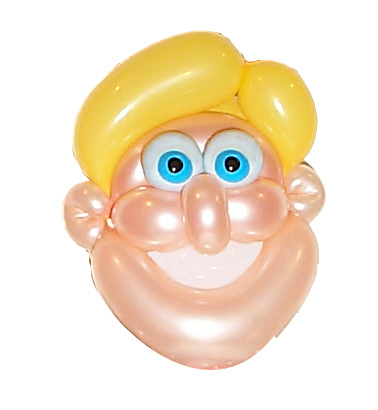 After we receive your payment, you will be sent to a page where you can upload the picture(s) of the person(s) who we will be making into an "Airhead." The best photos are clear photos. If the artist can see the face(s) clearly, we can certainly create an artwork of masterpiece quality for you. Please make sure to scan the photos with at least 300 dpi (dots per inch) resolution so that the artist can see the details clearly. If we have any questions regarding your photo(s), we will contact you right away. 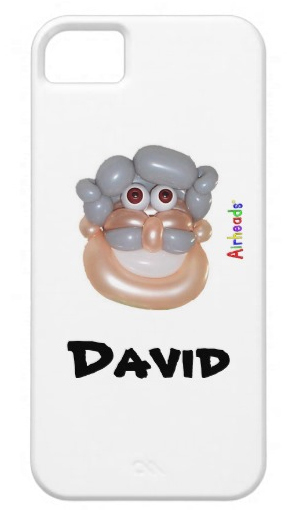 We have a network of top balloon artists who specialize in balloon caricatures. We will assign your order to the best artist for your order. We have a dedicated Quality Control Specialist who inspects the artwork and communicates with the artist. If the artwork does not meet our quality standards, it will be sent back for modification, OR it is sent to a different artist for re-creation. We will e-mail you the artwork image(s) for your review. Most of our customers approve the artwork upon receiving the first preview e-mail. However, if there is any reason that you are not satisfied with the artwork, please feel free to e-mail us any modification request you may have. 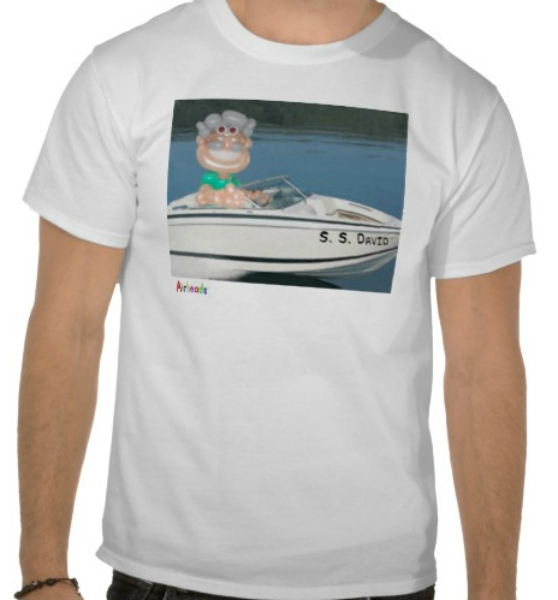 If you request modifications, we will modify the artwork according to your suggestions. You will get a chance to review modifications online in another e-mail once the modification is done. We can repeat the modification process until you are totally satisfied with the artwork. Simply let us know once you are satisfied with the artwork. Your product will be shipped to you. We will include our contact information along with the product in case you have any questions, comments, or concerns. The prices below reflect the product with a single "Airhead"
The items listed above are the least expensive of each product. When you know what kind of product you would like, we can show you a more extensive inventory of each product. 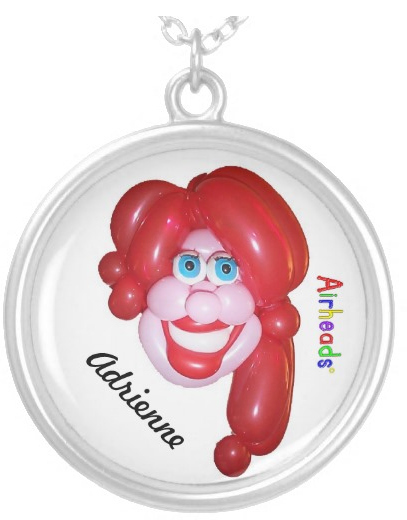 If you would like an Airhead all by itself, not on a product, the cost for an individual Airhead is $250. Upon it's completion, it will be sent to you by e-mail at no less than a 300 dpi (dots per inch) resolution. It is possible to add a body to your Airhead (making it an Airperson). However, the work and time involved to do that adds an extra $500 to your cost. Airhead David in his Boat! $500 for the background activity and photoshopping. Side note: After the Airpeople are finished there is no need to create them again, so if you would like more than one of the product, it is back to it's regular price. Therefore: $1300 for the first t-shirt, but only $25 for every shirt thereafter (as long as it is the same art work). with more information and a quote regarding your order. We will also be able to give you more details about the product(s). Submit this form to get an "Airhead" quote. 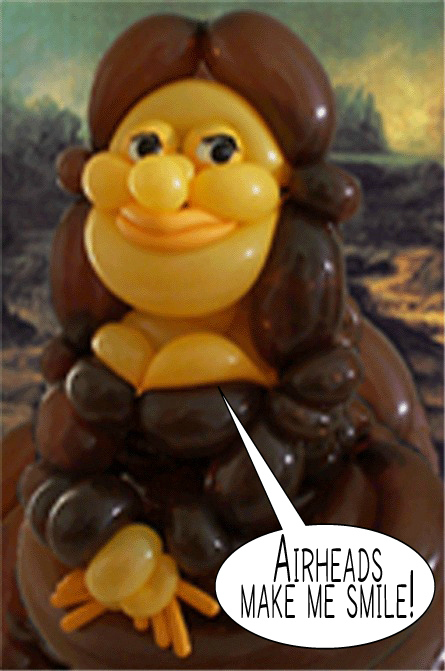 If you have specific expectations or instructions about the product you wish to "Airhead," please let us know here.